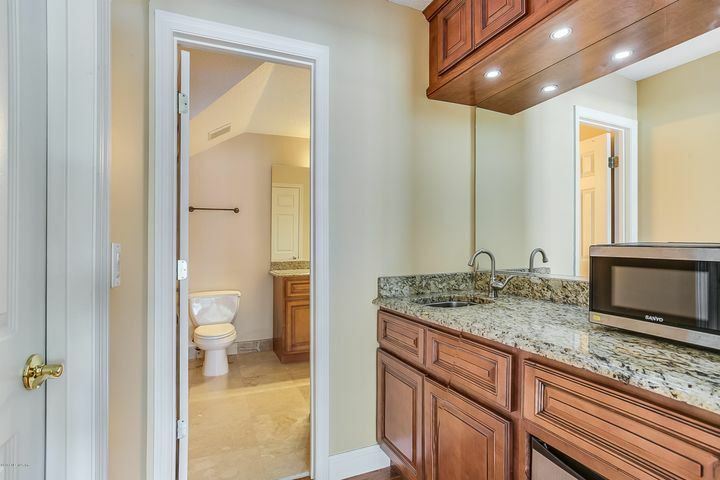 Breathtaking water to golf views in this updated, custom Queens Harbour home. 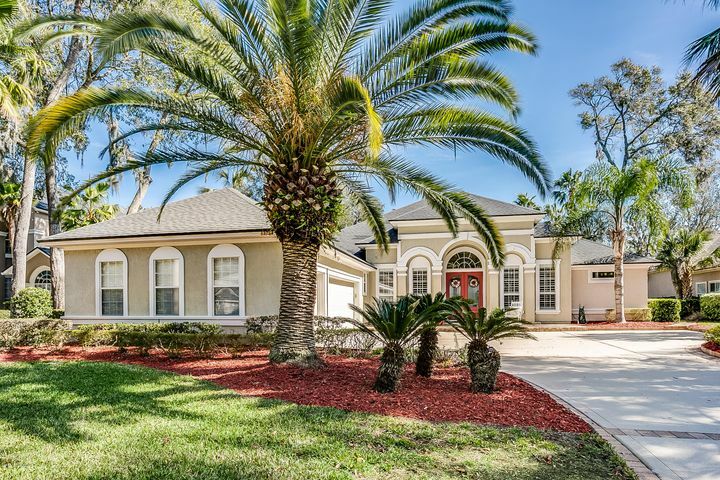 New roof June 2018 and 2 new A/C systems too! 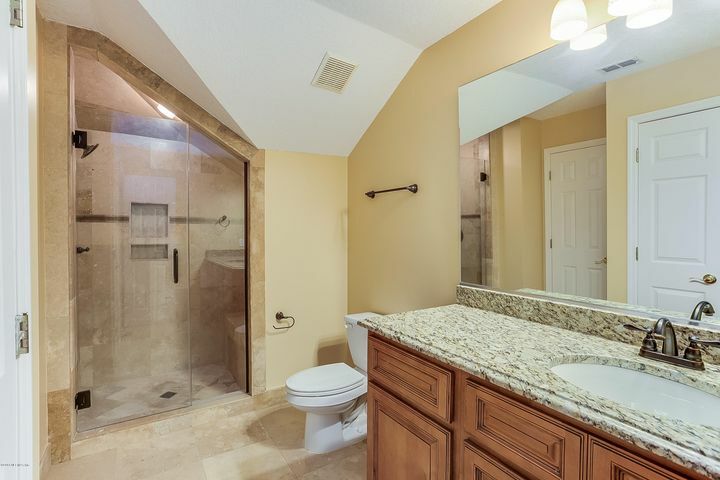 All appliances less than 2 years old and new Water heater. 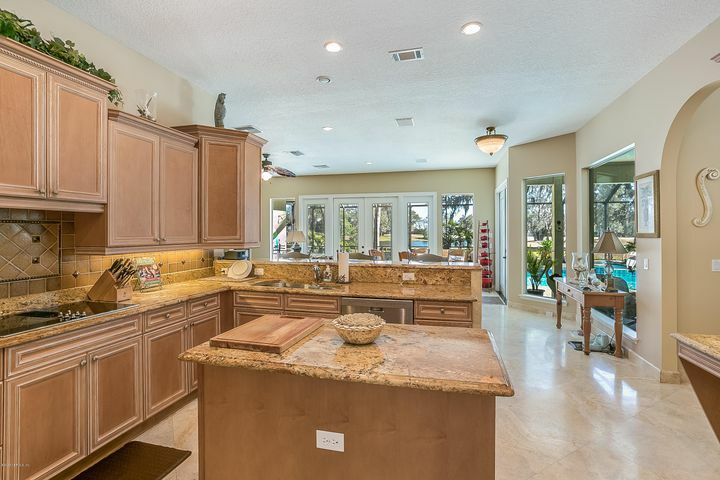 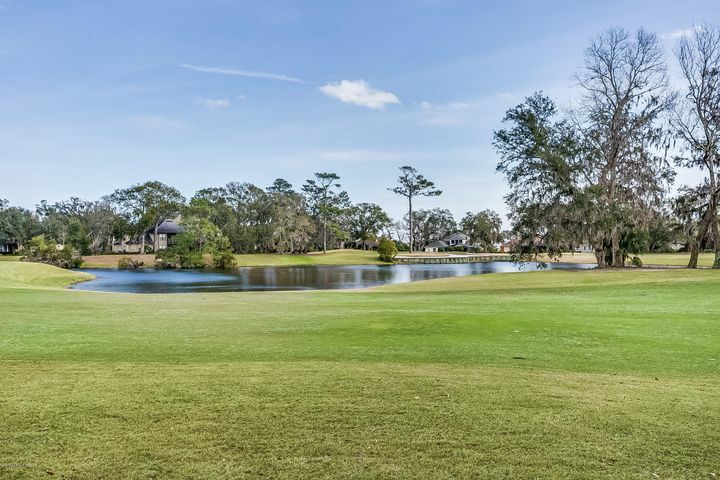 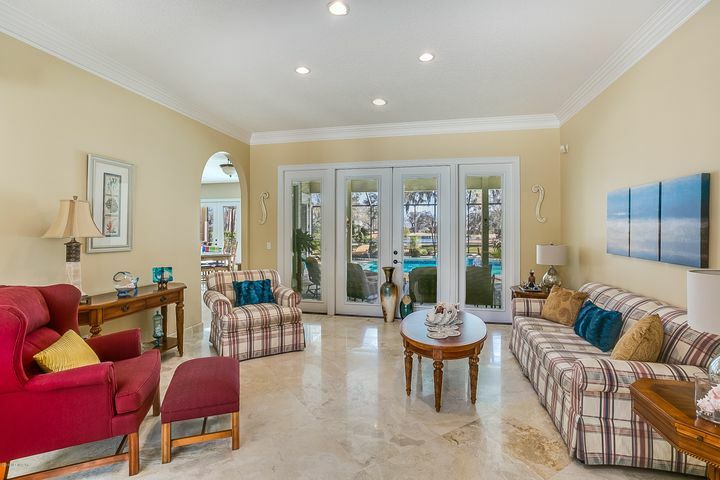 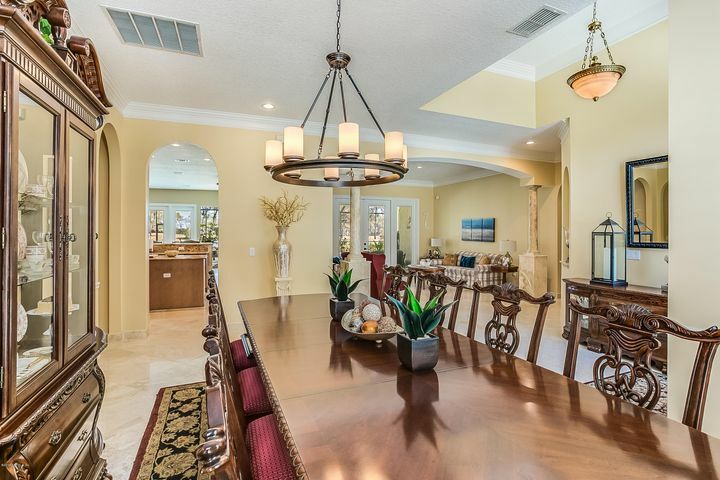 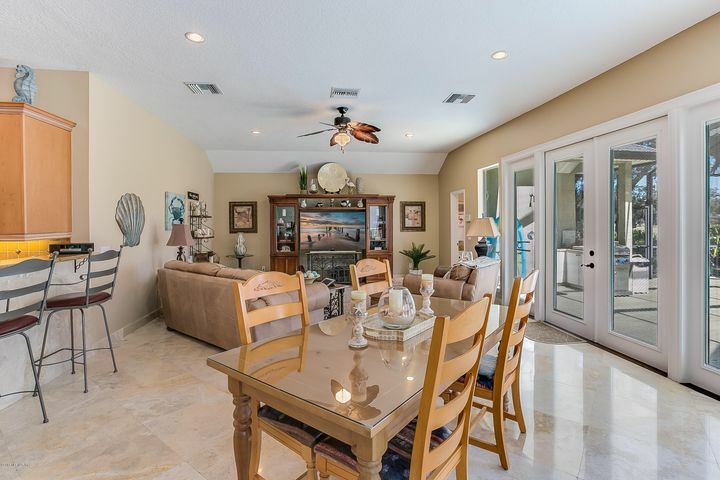 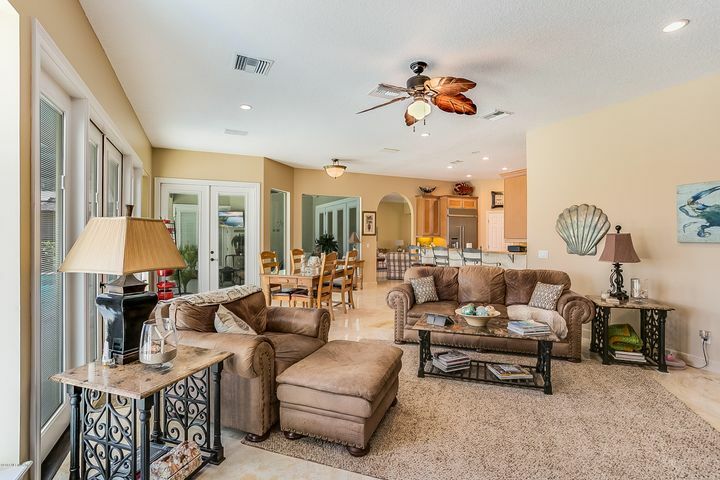 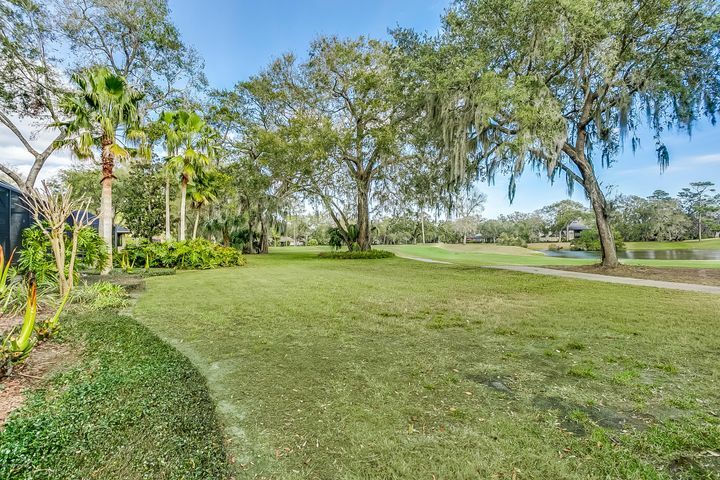 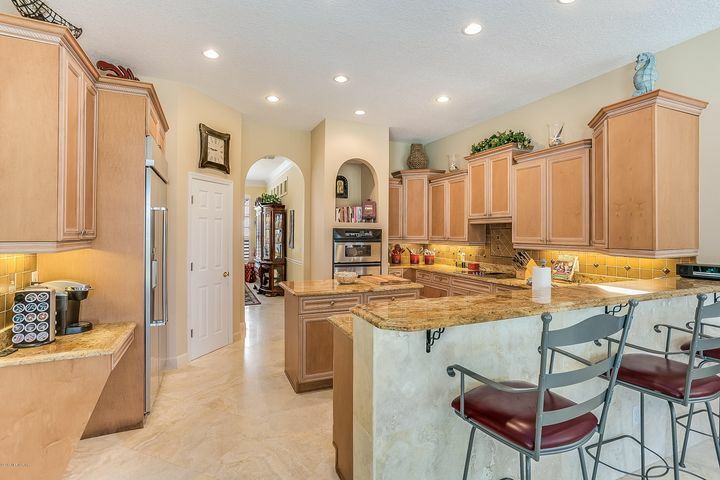 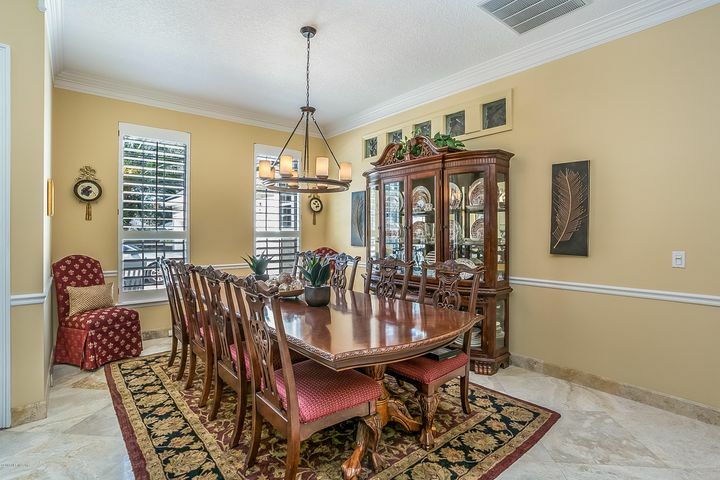 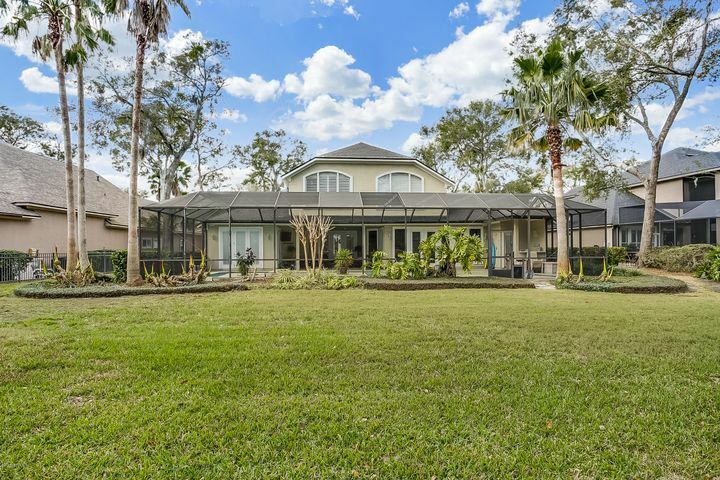 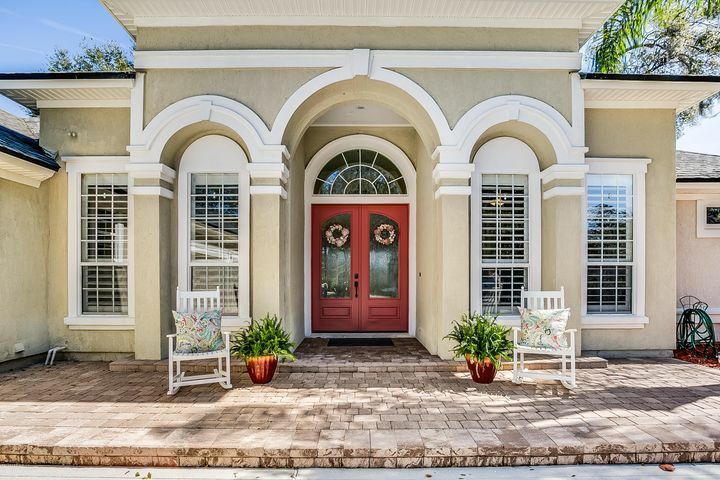 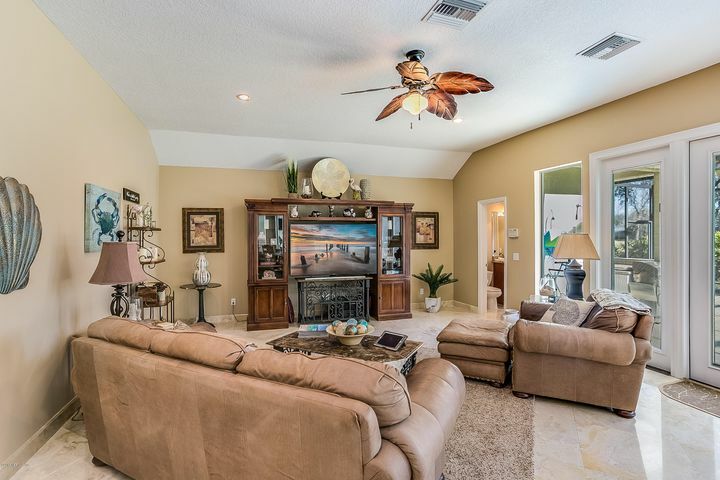 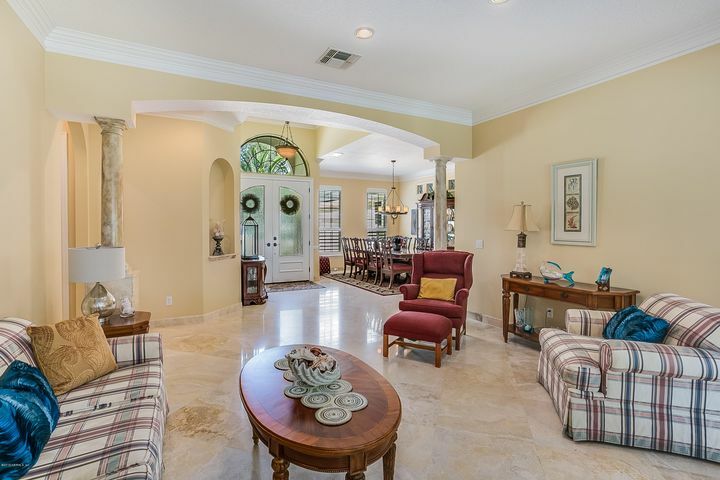 Open floor plan features high ceilings, travertine tile floors with marble baseboards and plantation shutters through out the house.Spacious kitchen with prep island, granite counters and ss appliances opens to large family room & breakfast nook. 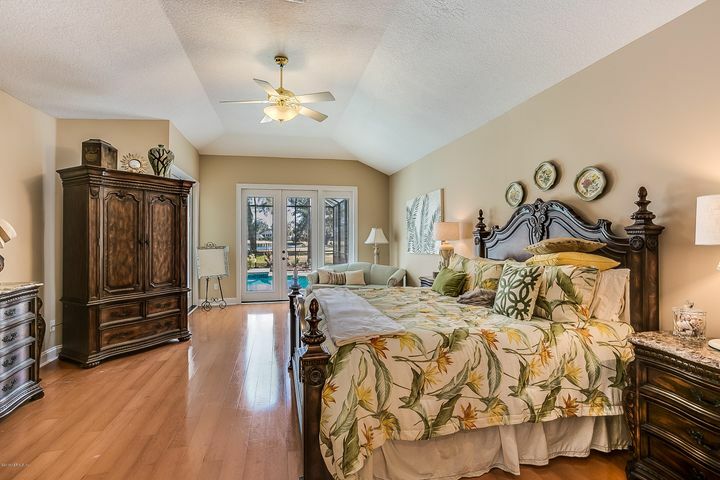 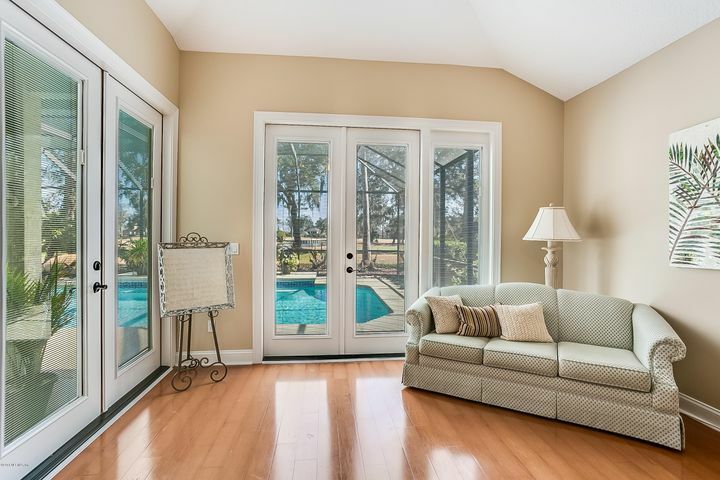 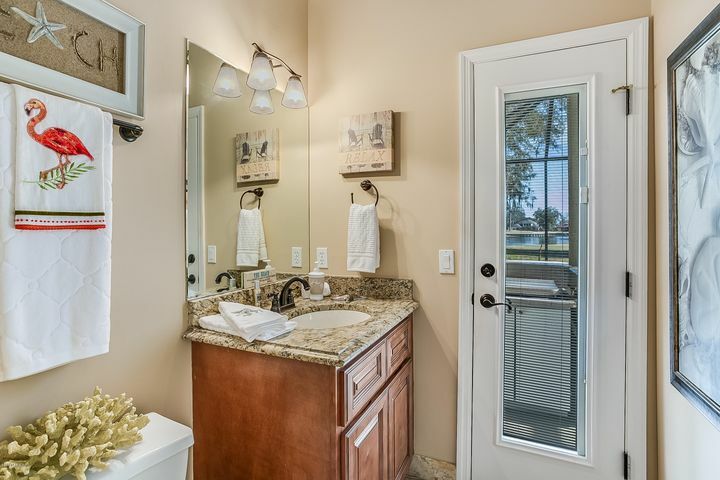 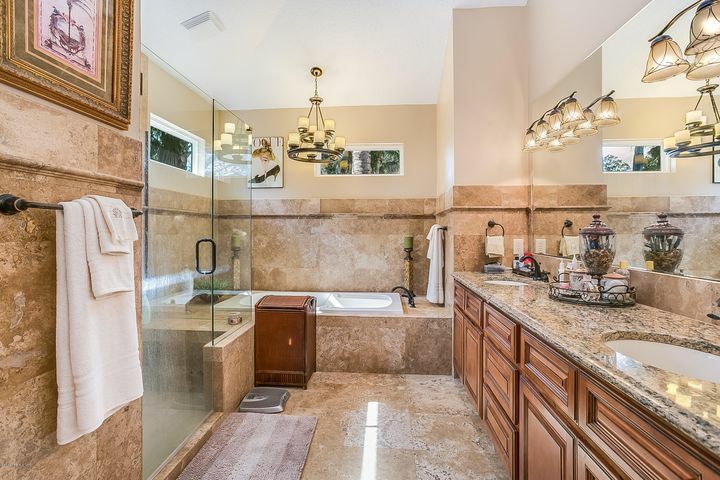 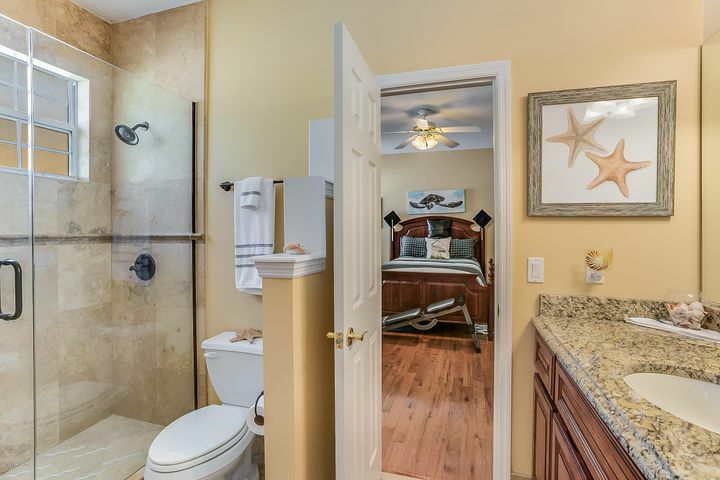 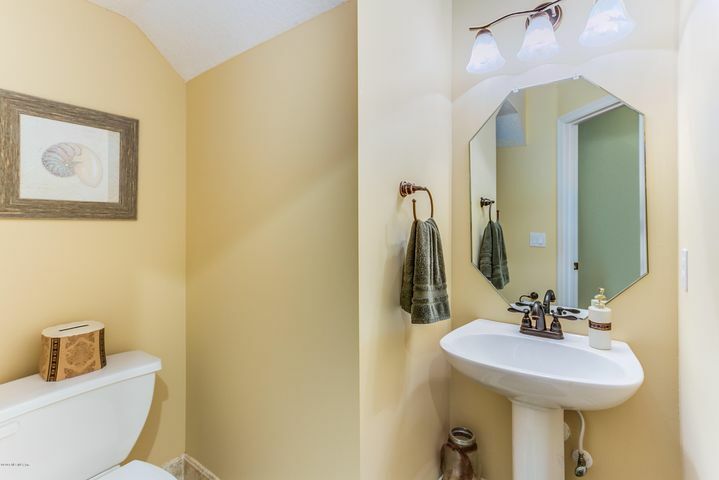 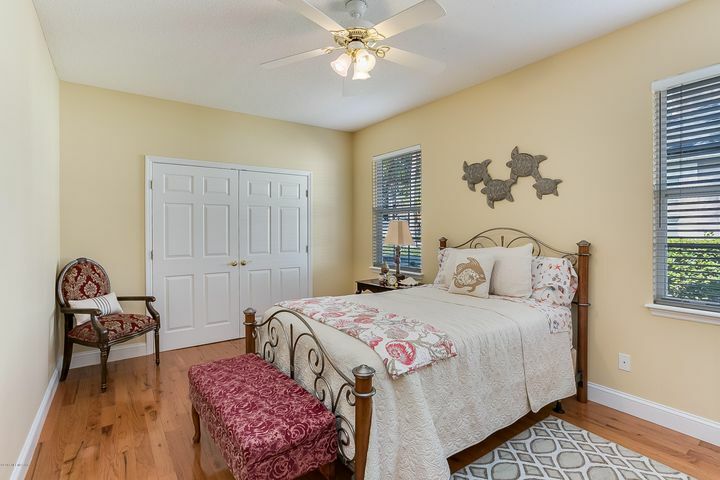 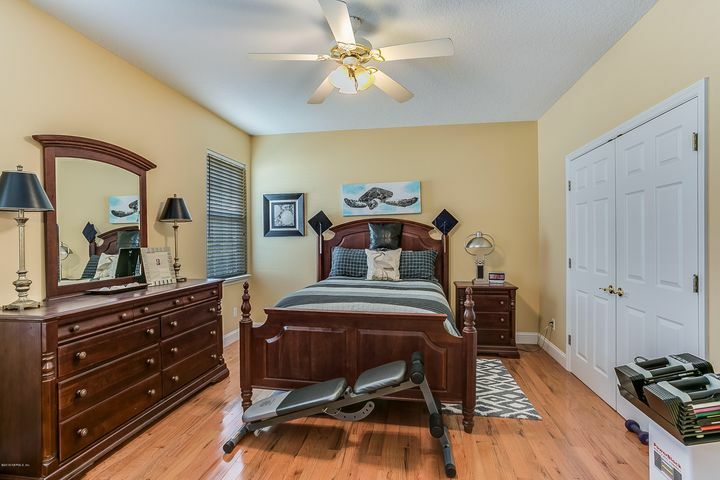 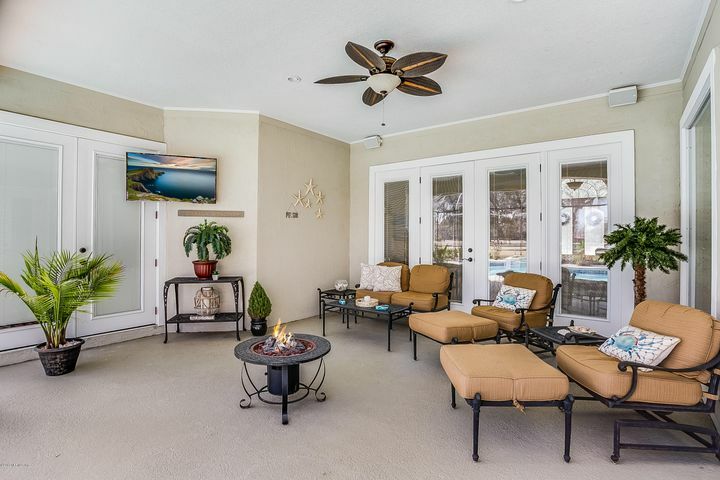 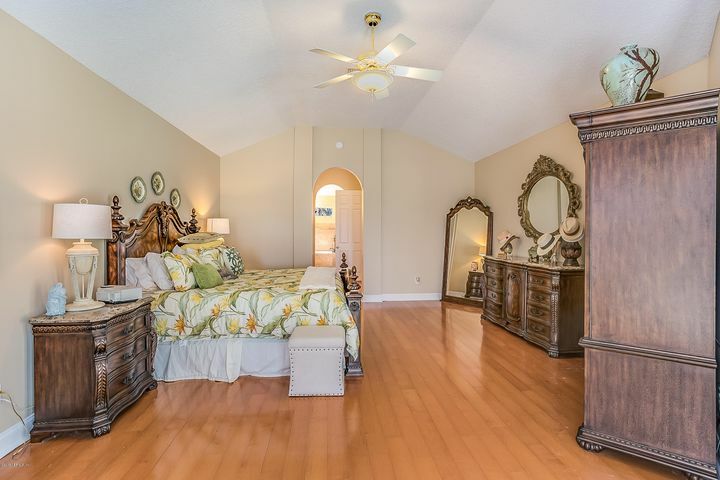 Master suite with gleaming wood floors, sitting area, doors to the pool & back yard, vaulted ceiling, walk in closets & a remodeled bathroom with jetted tub & walk in stone shower. 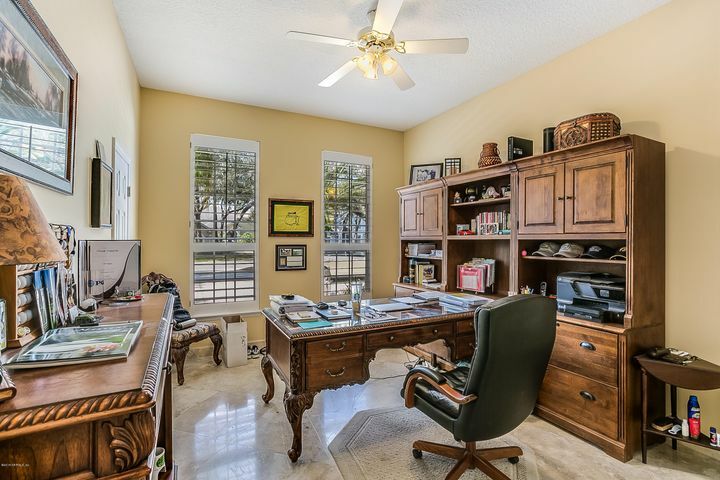 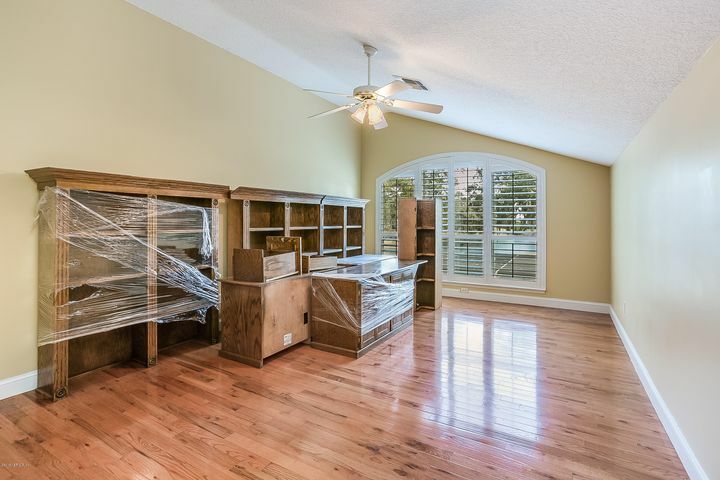 Private office with french doors, wood floors in bedrooms & huge upstairs bonus room and bedroom with wood floors and private bathroom & wet bar. 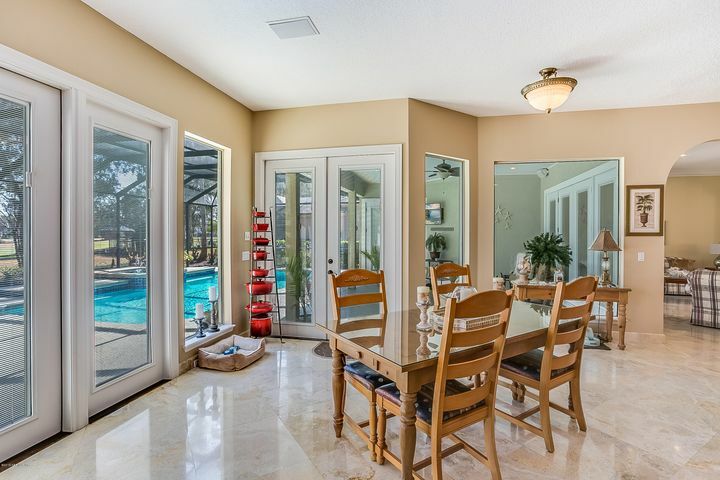 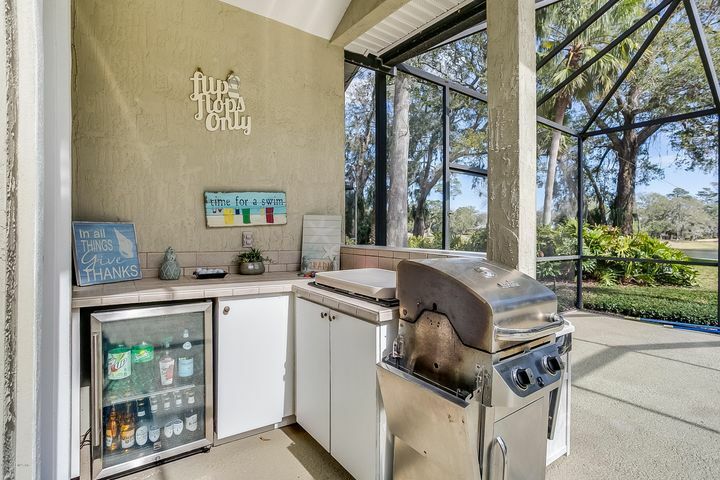 Screened pool with summer kitchen.